Regardless of the reason why some boys choose to board at Newington, our boarders certainly have an advantage living on site. Our well established daily routine is flexible so that the boys can capitalise on all that the school has to offer. We aim to meet the unique academic, co-curricular, emotional and social needs of each boy. The biggest advantage of our boarding house is our small, close-knit and diverse community. The Boarding House consists of 50 boarders who derive from local, rural and international backgrounds. This provides a wonderful network whilst at school and long afterwards into professional careers and personal life. 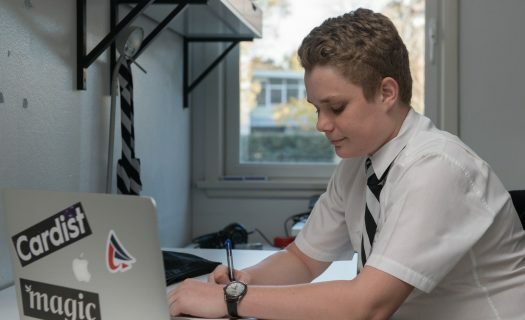 The boarding house aims to provide a learning environment where boarders can excel and surpass the potential they dreamed of prior to starting. Boarders sit a compulsory two-hour academic preparation session per day, with the exception of Fridays and Saturdays. These are between 3:30 – 5:30 PM or 6:30 – 8:30 PM. Boys have access to English, Mathematics and Science teaching staff on a 1:1 basis. Examination periods can be stressful and daunting for some students. We aim to provide a warm and safe environment for boys to come home to. During exam periods boarders are supervised in the Boarding House, pending availability of staff. With Wyvern Preparatory right next door to Edmund Webb Boarding House, the boys have access to the school’s two Synthetic Tennis courts after school and on the weekends. Every Thursday, games are organised for the boys to participate in, as well as a range of other recreational activities hosted either by the school or by the Boarding House outside of the grounds. On average, two-thirds of the house will stay in on the weekends. Over the weekends boarders are invited to participate in a variety of outings including beach visits, BBQs with local schools (eg PLC, Wenona, Ravenswood), movies, ten-pin bowling, rock-climbing, Sky-Zone and sports afternoons on the main campus. On these afternoons, boarders have the College’s entire sports facilities to themselves. Leave at Newington is managed by an on-line system that aims to increase the security and welfare of our boarders. This system streamlines communication between home and school and assists our boarding staff to locate boarders 24/7. Leave is relatively flexible, allowing boys to visit family and registered hosts on a weekly basis. Leave requests can be entered by parents, hosts or boarders and will be communicated via email. Once this leave is approved by parents/guardians and finally by the Head of Boarding, boys are permitted to go on leave. Typically, boarders will go on leave on Friday afternoons or following Saturday sport. The boarding facility has recently undergone a major refurbishment including bedrooms, bathrooms and recreational facilities. Boarders are offered either single or twin share rooms paired with either ensuites or shared bathrooms. 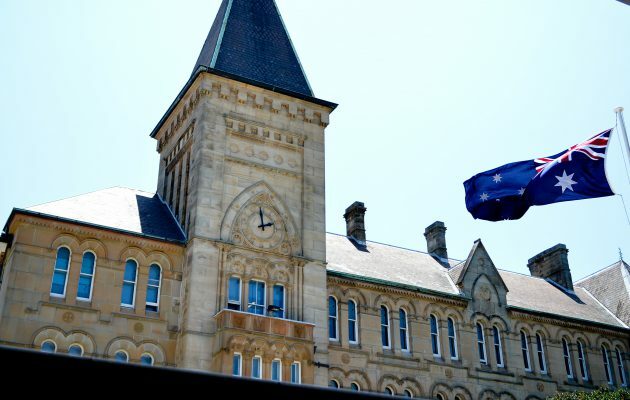 The recreational facilities include basketball and tennis courts on-site, table tennis, pool tables, Foxtel, Apple TV, gaming consoles and music practice halls including drum kits, a piano and keyboards. All meals at the College are provided by Spotless Catering. They provide quality meals that cater to dietary requirements, preferences, allergies and religious restrictions and fulfil the recommended nutritional value needed for growing teenage boys. Dinner is served at 5:45 PM at the main school (Monday –Thursday) and at Edmund Webb (Friday – Sunday). A light supper is available after prep. Boarding Masters attend all meals in the dining room to make sure that the boys are eating their meals. The boarders use two dining halls. 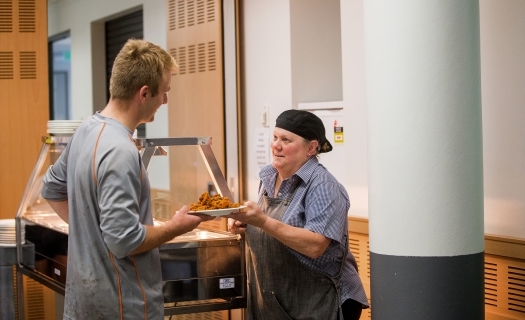 On the weekend, meals are served in the Boarders Dining Room in Edmund Webb House, and during the week, in the Boarders’ Cafeteria on the main campus. The menu is available on our notice boards, but these are subject to change based on the availability of some food items.